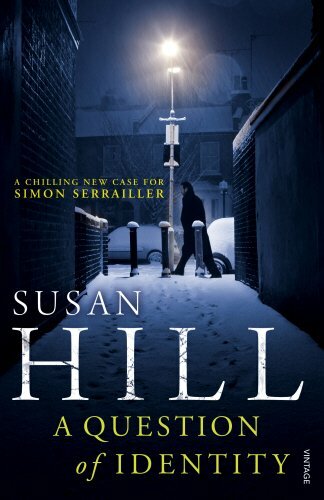 A Question of Identity by Susan Hill starts with a flashback to a trial: a man is found not guilty of three murders. Elderly, vulnerable women. Such is the public outcry that he is given a new identity. Lafferton, ten years later. A woman is killed. Elderly, vulnerable, murdered the same way as those three women in 2002. But how can Simon Serrailler track down a villain who doesn’t exist: the man was given a new name, a new face, a new identity and was relocated. But we’re talking about murder, so surely one police department will help another? This is an intriguing premise, all too believable. As ever with Hill’s novels, this is efficient and chilling. She introduces us to prospective villains, each seems a little questionable: but are we being unfair, reading something into signs that don’t exist, generalising, making assumptions? In parallel with the introduction of prospective villains, we are also shown prospective victims. Whilst Simon Serrailler deals with this emotional case, his own heart is being pulled between love and guilt, and his sister Cat must manage two warring children. An excellent tale which keeps the pages turning, an examination of the jury system. When ‘not guilty’ can be the wrong verdict, when ‘with reasonable doubt’ can condemn more vulnerable women. A disturbing take on the efficiency of our justice system.